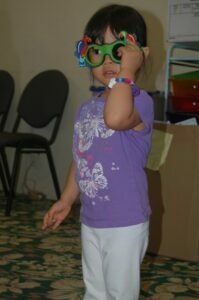 A few weeks ago, my team of technicians from the Honolulu Eye Clinic, Dr. Jenifer Bossert and I went to an area pre-school to perform a vision screening for about 100 students! Yes, you read correctly, 100 preschoolers! The kids were great and really eager to earn their sticker reward for participating in the vision screen (amazing what kids will do for a sticker!). Most knew their letters and only a few were too shy to participate. 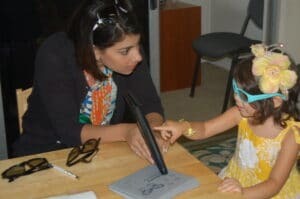 Instead of using old fashioned eye charts, we used an I PAD app which had a vision testing tool allowing us to use letters to test the older kids and symbols and a “tumbling E” for younger kids. Like most vision screenings for children between 3-5 years, we tested each child for strabismus, which is a misalignment of the eyes that affects about 4% of children. We also evaluated the distance vision or for refractive errors to determine whether they might have a myopia (nearsightedness) or hyperopia (farsightedness). Finally, we tested the children’s stereo vision, which is the ability to see one image with two eyes. 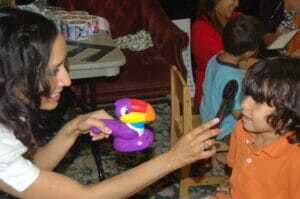 Many kids like this test because the evaluation is based on the child’s ability to see 3D images with 3D glasses on. 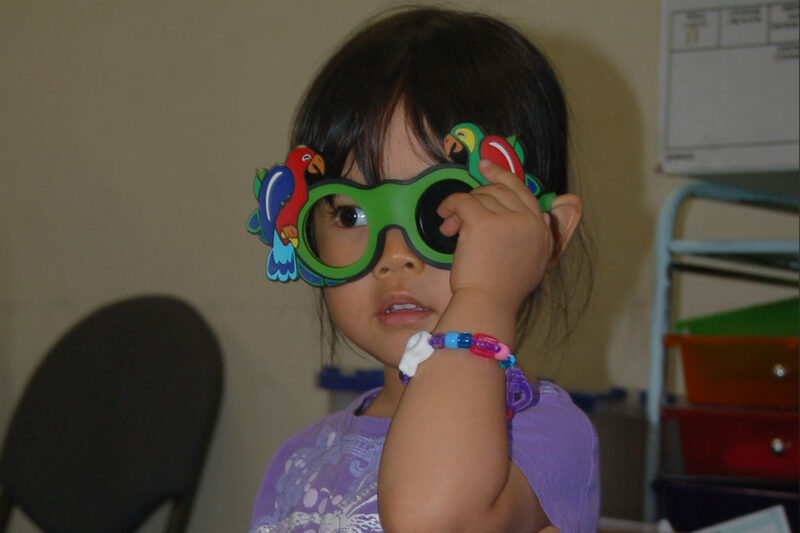 It is very important for children to have their vision checked yearly as vision problems can occur at any age, which can hinder developmental performance and cause other problems that include vision loss or even blindness. 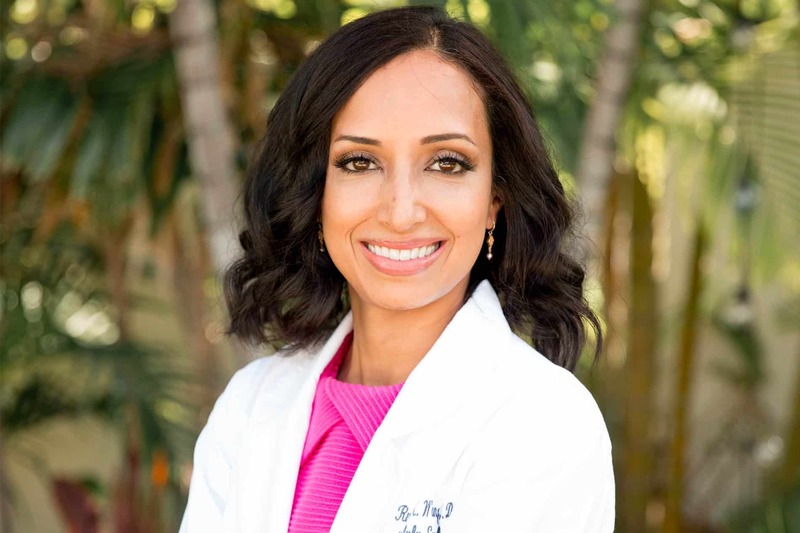 Many abnormalities or problems that are detected early are treatable. 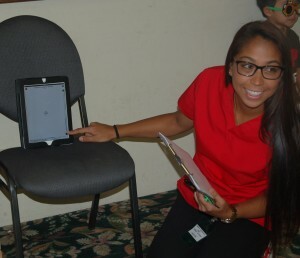 Technician Jocelyn performing distance vision test using a new iPad app. We had a wonderful time with the pre-schoolers and would like to thank the teachers for assisting us with the children. It was a great way to start the day at the pre-school with the enthusiastic children. Honolulu Eye Clinic staff would like to send a big Mahalo to the staff and teachers at the Pre-school for their assistance during our visit.